Gregory Bald Trail is a signature hike of the Smokies and although it is quite popular with hikers, it does not see the traffic of Alum Cave Trail. What makes it special is its access to Gregory Bald. 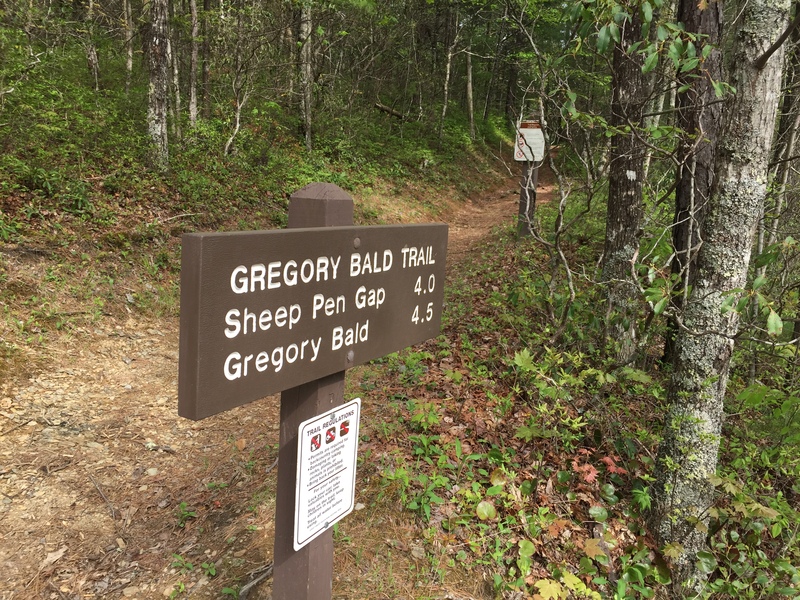 Like Mt LeConte, there are several ways to get to Gregory Bald and Gregory Bald Trail is perhaps the most direct and least strenuous overall but that is relative. There is not a non-strenuous approach to Gregory Bald. The main downside is that the trailhead is in Sams Gap on Parson Branch Road, a maintained gravel road that leads oneway out of the southwest corner of Cades Cove. Parson Branch Road is closed in the winter so accessing the trailhead requires a bit of planning. At the time of this writing, the road was still closed well into June as the result of multiple blowdowns. Once you reach Sheep Pen Gap and Campsite #13, the trail follows the Tennessee/North Carolina state line to its terminus with the Appalachian Trail at Doe Knob. 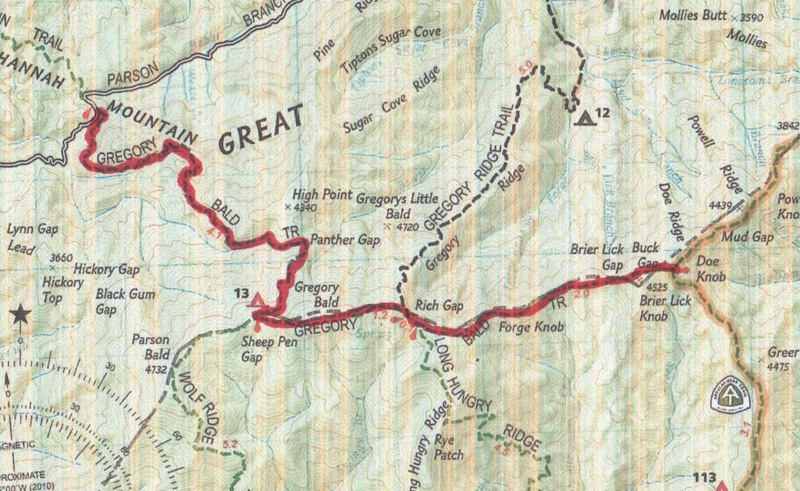 One guidebook mentioned that Gregory Bald Trail was the original route of the AT as it exited the Park but later was changed to drop down into Fontana in 1948. Sams Gap is a large open space with plenty of parking but remember, you cannot return to Cades Cove. You must exit the park at US 129 Twentymile. Gregory Bald leaves the gap on a fairly level walk for the first half mile. A small stream crossing at 0.6 miles initiates a steady uphill climb through pines and other evergreens as it ascends the south side of Hannah Mountain. 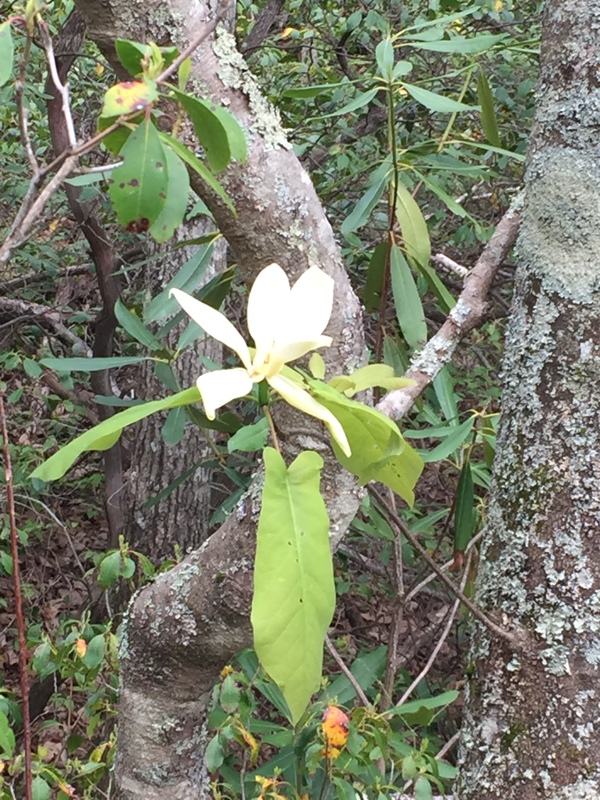 Along this section you may see a beautiful flowering tree known as the Mountain Magnolia, which flowers in April/May. At about 2.3 miles, the climb levels for a short bit, long enough to catch some breath left behind on the climb. But catch it well as the ascent continues fairly steeply in this section, gaining 635 feet per mile (12%) until you reach Sheep Pen Gap. 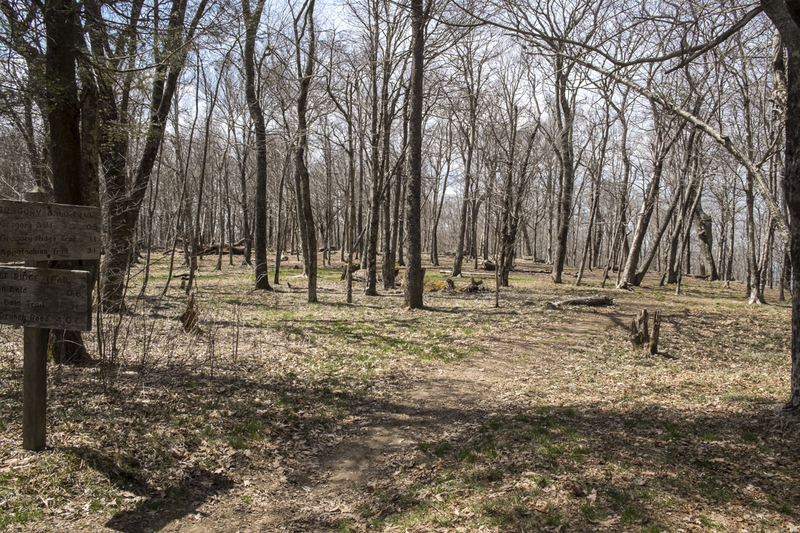 At 3.2 miles, you reach Panther Gap and by now the pines have given way to mixed hardwood forest. Leaving Panther Gap, a rhododendron tunnel ushers you into the last mile of steep climbing. At 3.9 miles is the spring on the left and water source for Campsite #13. Be prepared for a muddy, wallow as hikers, horses and feral pigs use this spot. You may have to climb up the side of the hill a bit to find a suitable place to fill water containers. 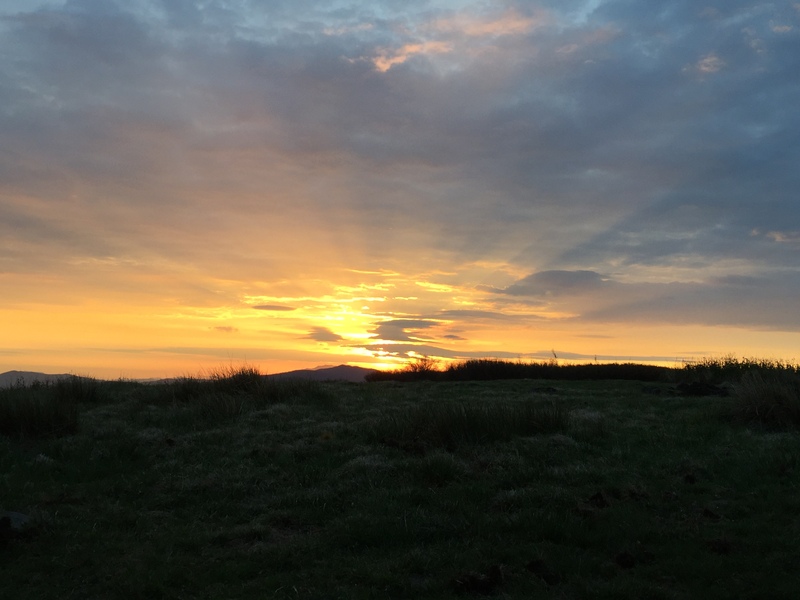 At 4.1 miles, your climbing is done as you enter Sheep Pen Gap and Campsite #13. During warmer seasons, it is rare to find the site empty. It’s wide grassy spaces and level tent sites make it one of the more beautiful and popular sites in the park. Wolf Ridge Trail meets Gregory Bald Trail at Sheep Den Gap and is a pathway less than a mile to Parson Bald. 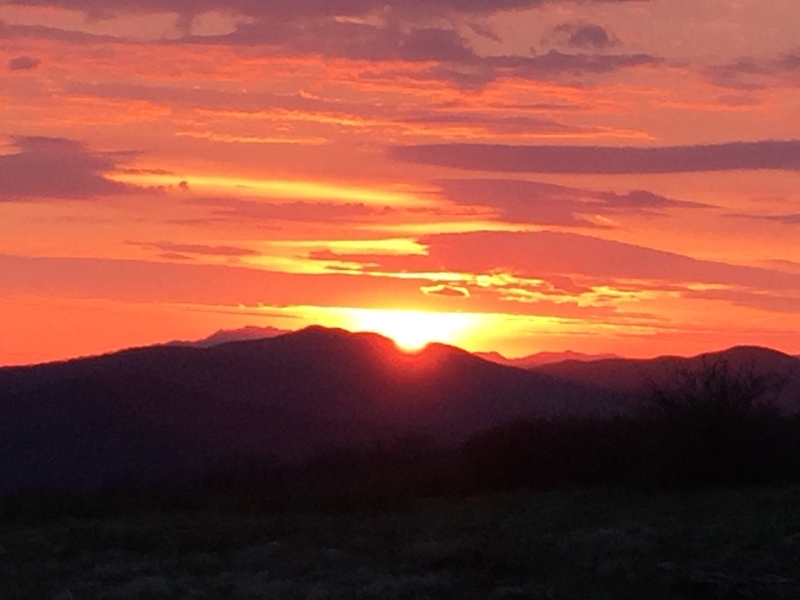 If you choose to camp at CS #13, you choose well as you then have the opportunity to hike 10 minutes up to Gregory Bald to catch sunsets and sunrises. 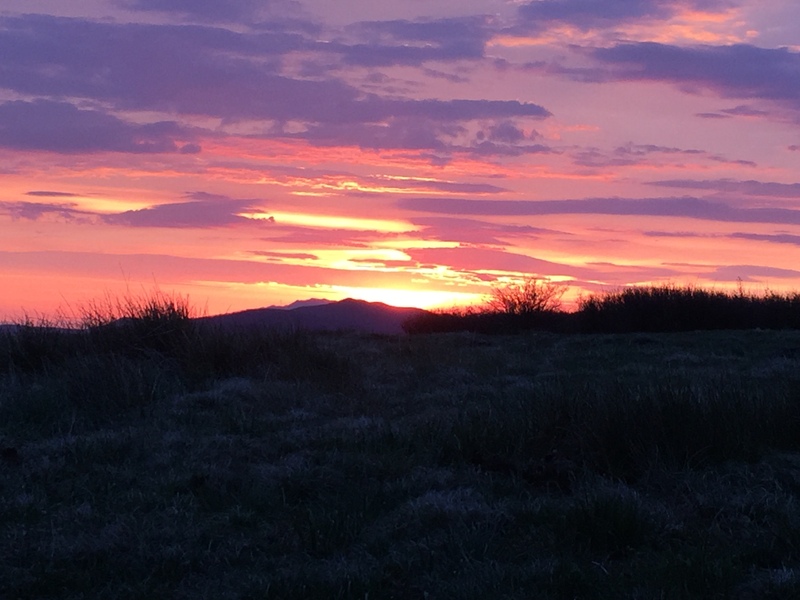 At 4.5 miles is a Sacred Place. Gregory Bald is still very much a bald covered with grasses, azaleas, which bloom in June-July and wild blueberries which are ripe in late August, but the bears and deer typically beat the humans to that feast. 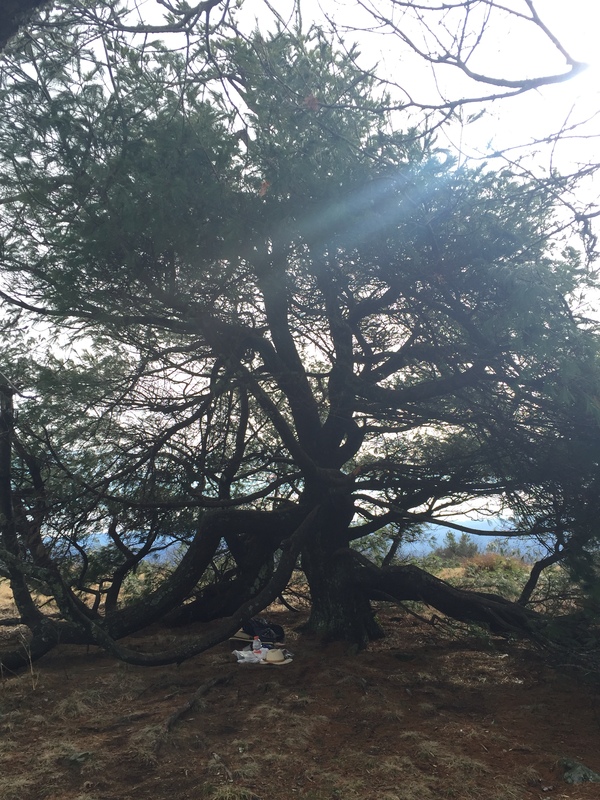 There is a very special Pine tree at the summit near the USGS Benchmark. This tree provides a wind break on blustery days and shade for napping. Its branches are low and spread out widely, more reminiscent of a Water Oak and the needles carpet the ground for the weary saunterer. This tree person is quite worthy of a name although none comes to mind that are worthy of its stately majesty. Gregory Bald looks out over the western end of Cades Cove and further to the west is the city of Maryville whose lights glow warmly in the nighttime horizon. The Bald is large enough to explore for a couple hours but its real attribute is its stillness and its welcome for contemplation. At some point you realize this moment of eternity must pass and you move along. 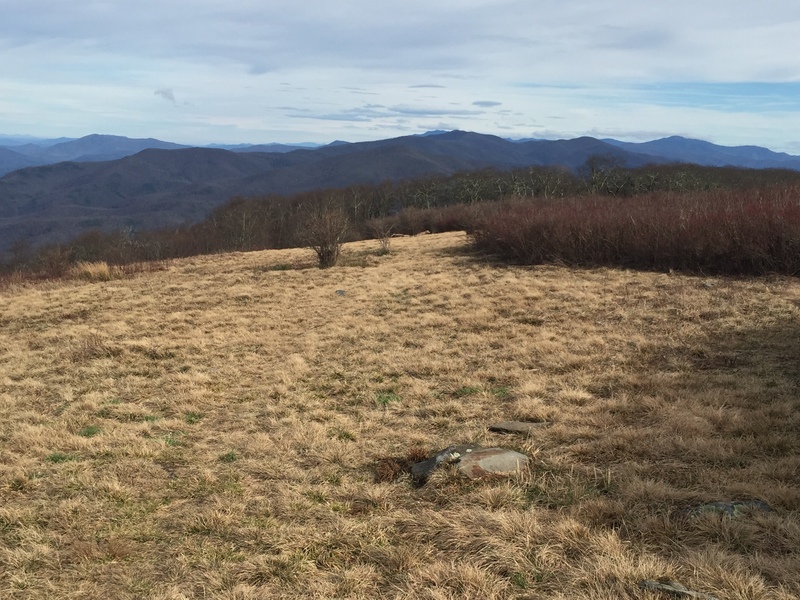 As you hike east, the Bald quickly disappears at about 4.8 miles and descends rather steeply to Rich Gap and the intersection with Gregory Ridge Trail at 5.3 miles. There is side trail or manway that leads 600 yd. to the right to Moore Spring. The trail sign mentions that Long Hungry Ridge Trail is a mile further up the trail but after a couple minutes, you realize it’s a misprint as the same trail exits to the right at 5.4 miles There is a short but steep climb before you descend for 2 miles along the Tennessee State Line to Doe Knob and the Appalachian Trail. 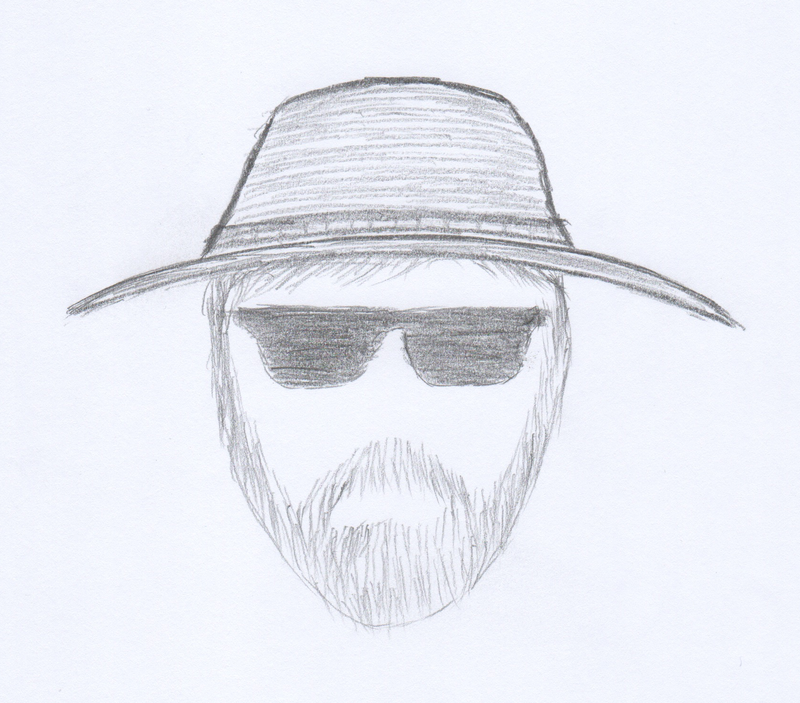 This entry was posted in Trail Log on May 29, 2016 by blogginggazelle.